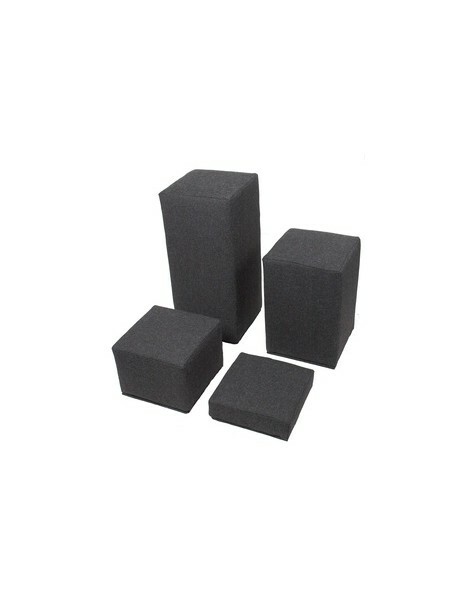 Designed principally for use in the studio, the Indoor 4 Piece Posing Block kit comprises four black Tweed upholstered square profile blocks. 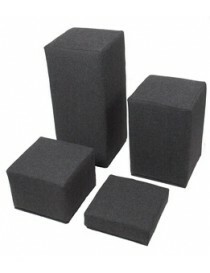 The blocks can be used on their end or on their sides. 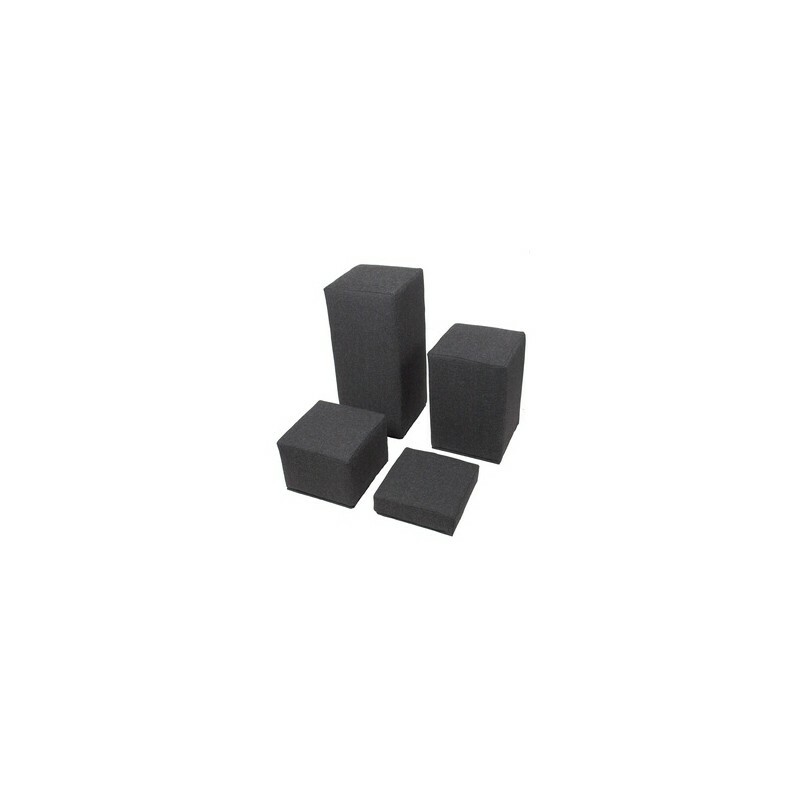 Easily stacked when not required, and are very light so easy to move around the studio.  Very strong, Fire Retardant, EPS centres. See also our slip-over covers in either white or primary colours.